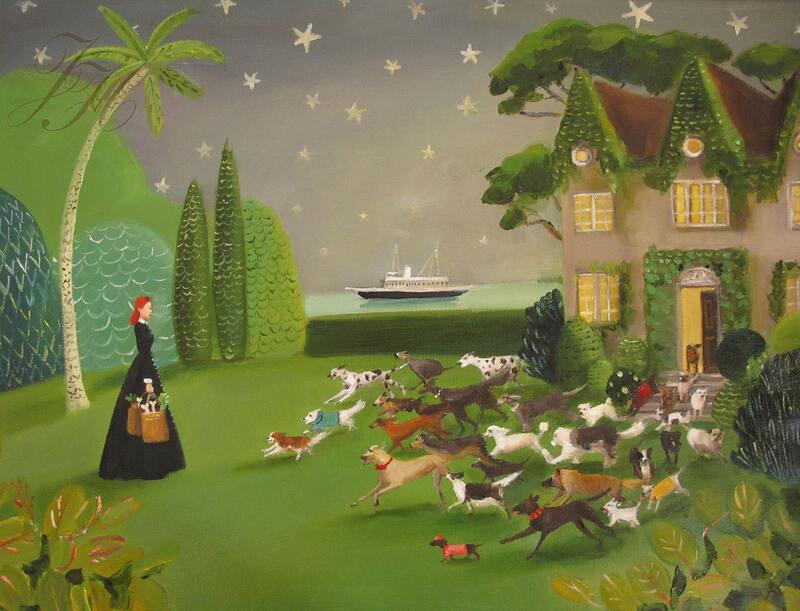 Title: Miss Moon Was A Dog Governess. Lesson Fourteen: Give A Warm Welcome, Even After The Shortest Of Absences. Image size: approx 7.5"x9.75". Paper size: 8.5"x11"